Over the last few years, the smartphone market has been an on-going tug of war between Apple and Samsung. Apple’s iPhone series popularised the smartphone and brought it to a mass audience, and the company’s position as top dog was clear for all to see. However, now the tables are turning and Apple’s reign as King of the smartphones may very well be over. The arrival of Google’s Android system presented Apple with a direct threat – and out of all the Android-based devices, none have had quite the impact of Samsung’s Android series. According to a recent article from Business Insider, Galaxy phones have become practically synonymous with Android and their innovative features have helped them acquire a dedicated following. The Samsung Galaxy smartphone has a larger screen, is thinner than the iPhone, has a larger variety of free apps and its operating system runs far more smoothly than Apple’s i06. Admittedly, Galaxy fans aren’t quite as devoted as Apple enthusiasts – Samsung’s ‘Next Big Thing’ adverts made fun of this by taking aim at Apple’s famously zealous fan-base – but there’s now a certain cachet attached to Samsung devices. 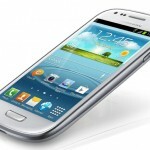 The Galaxy Note also proved particularly popular, having shifted around 10 million units to date and spawning a best-selling sequel, the Galaxy Note II. The smartphone-tablet hybrid’s giant screen helped to set it apart from the pack, despite initially receiving a lukewarm critical reception. Samsung has also sought to make best use of its devices’ processing power by offering a range of premium features, including the ability to run more than one app simultaneously. A recent survey from research firm Strategy Analytics indicated that Apple still had the edge over Samsung in terms of sales. According to the study, Apple remained the largest single phone vendor in the US during the fourth quarter of last year, selling 17.7m handsets as opposed to Samsung’s 16.8m. However, the two companies dominated the US market between them with a combined share of 66 per cent. So, it appears that while Samsung’s technological advances and cool image have helped the firm overtake Apple in the innovation stakes, Applel has a narrow, albeit shrinking sales advantage over its only true competitor. But with Samsung consistently gaining ground on Apple, this could well change in the years ahead. Are you an Apple or a Samsung fan? Which company do you think is better a producing smartphones?